At around 1045 there was stone pelting by miscreants at Khadak galli and this went on for over 20 minutes and with only 3-4 police men at the booth they were awaiting more force. The miscreants threw stones, tiles, even acid on houses, streets lights and whatever they could find. 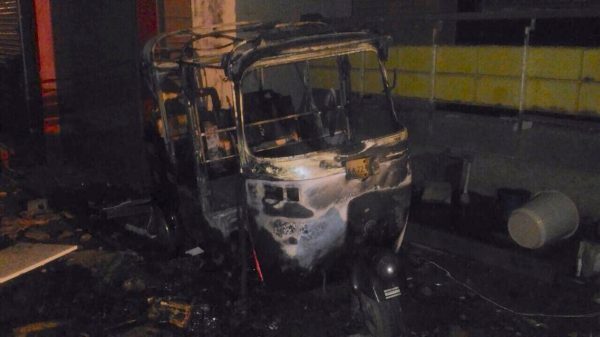 Some of the miscreants even entered homes and destroyed home furniture and consumer durables. 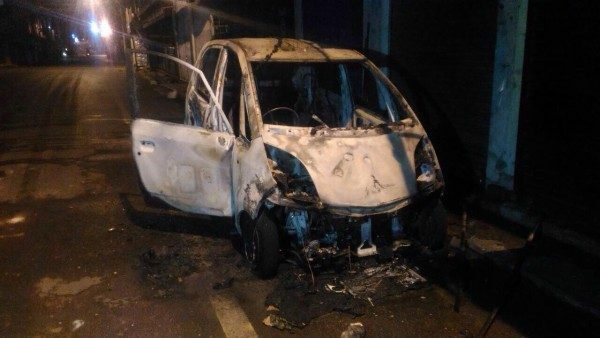 The police who came in after 20 mins as per eye witnesses could not cope up with the miscreants and as there were no power there, the miscreants of a community burnt autos, bikes, cars parked on the road. Street lights were broken and within 20 minutes the street was full of stones. 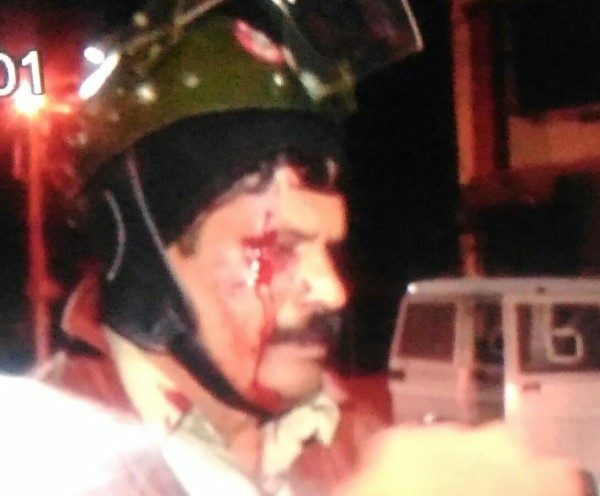 The police which came in did not enter the main street but tried to enter from the sides which was very surprising and later 3 cops including ACP Shankar Marihal and Police Inspector Prashant were injured. Stones were pelted in Khade Baazar area near sheetal hotel as well. Sporadic stone-throwing incidents in communally sensitive Khadak Galli, Khanjar Galli, Khade Bazaar, Jalgar Galli was seen. November 5, 7, 11 have seen stone pelting in Khadak gallli and surrounding areas and each time the police have failed to control this and it happens after some days. A few persons are arrested but this menace occurs again and again and the residents of the area live in fear. Yesterdays incident is again very alarming and the police have to come forward and the miscreants must be arrested and stern action must be initiated. A few persons of the media were also attacked. The police must act now and stern action is required to stop this menace. Similar incidents have occurred in the past as well and there is nothing new but why is that police cant control this. is there law n order left in belgaum or it has become a mockery .this has happened because we have let us divided on linguistic lines of kannada and marathi .see our fate , this communal rioters are fully aware no body will touch them due to political influence and they can create havoc in city with police station barely meters away . a lesson for all belgaumites to unite and forget the fake religious divide and stand as one . Y not install CCTV cams in these area’s? Are police only interested in collecting chalans at traffic signals? I guess ppl from khadak galli need to wear helmets in their houses to be safer. Is this a ploy against Hindus? KRV comprises much of stone pelting community who even don’t know to spk Kannada.